I’m now at the age where the albums of my youth are turning older than I was when I first heard them. Hardly a day passes, it seems, without a social media notification that a record I love, or bought and liked and perhaps forgot about, or thought was overrated at the time and always planned to return to, is 20 or 25 or 30. “Daydream Nation” – 30. “Siamese Dream” – 25. “Surfer Rosa” – 30. “Rid Of Me” – 25. “Deserter’s Songs” – 20. It goes on. The last in that list really struck home recently. Not only did “Deserter’s Songs“, Mercury Rev’s beautiful, elegiac album about loss, recovery, nostalgia, life, the universe and everything, turn 20, but I was lucky enough to see the band perform it live. 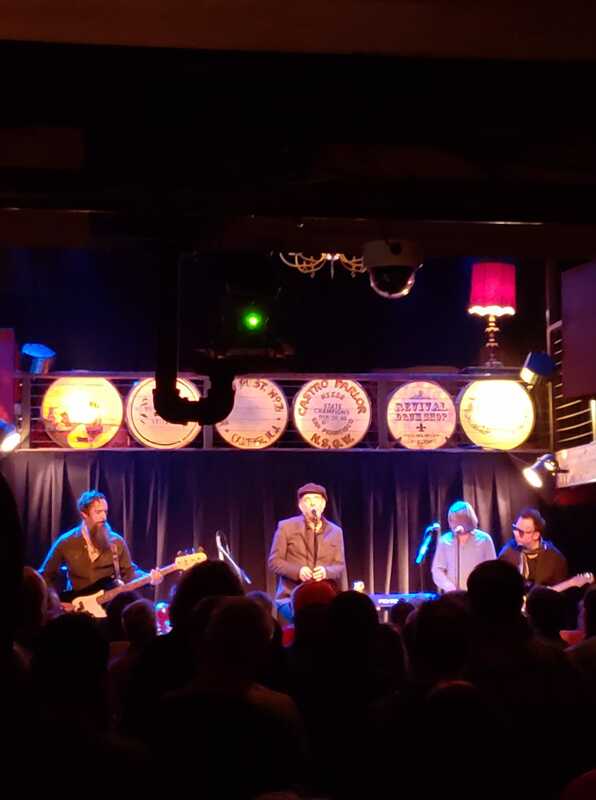 The show, at Mississippi Studios in Portland, reminded me how listening to certain albums – live or in their original recording – offers a direct portal to a particular times when the music played a central role in my life. So it was with Mercury Rev. When Jonathan Donahoe sang the opening lines of Endlessly, the third song on “Deserter’s Songs” (“Standing in a dream, weaving through’ the crowded streets, leaving you again endlessly”) I was transported back – to multiple places. The song put me in a room above “Botany Bay” in Trinity College, as I took breaks to listen to the music while studying for my finals; it brought me to my old family home in Athlone, Ireland, where I sat in front of the fireplace and listening to “Deserter’s Songs” during the Christmas of 1998; it landed me to a highway, somewhere in Utah or Colorado, as friends and I drove late at night (where to, I can’t remember, though we eventually ended up in New York). I felt happy and older and nostalgic. Carried along by the music, for the first time in a long time I felt connected to myself in those memories: I wasn’t just recalling event, I was among them, back there, for a little while. It was a fleeting feeling, a song long, then I was back. And being back was fine, because the now is where I live and listen. Also, 20 years on “Endlessly” hasn’t aged a day.